Clara Josephine Wieck Schumann (born 13 September 1819 - died May 20, 1896 at the age of 76 years) was a German composer nationality. She was the wife of composer Robert Schumann. 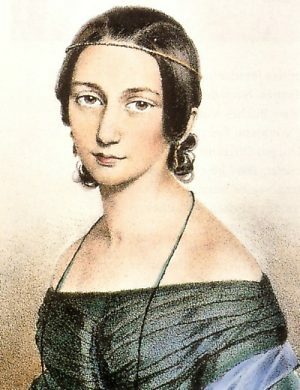 Clara Schumann was born in Leipzig, Saxonia West. On 8 November 1830 he performed a concert for the first time in Leipzig, Germany. 1838 · Impromptu (G) "Souvenir de Vienne"
1841 · 3 songs: 1 Er ist gekommen in Sturm und Regen, 2 Liebst du um Schönheit; 3 Warum willst du and're Fragen?